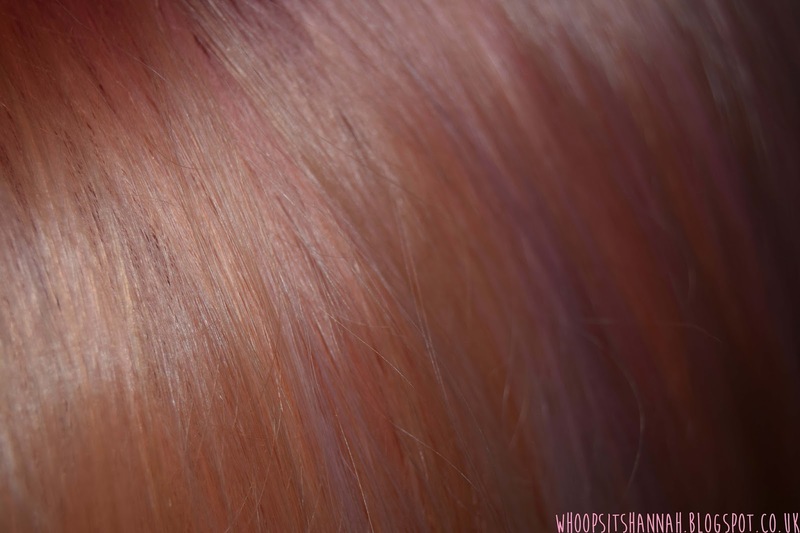 As mentioned in my New Year's Resolutions post, I've been wanting to dye my hair some crazy colours for a while now. 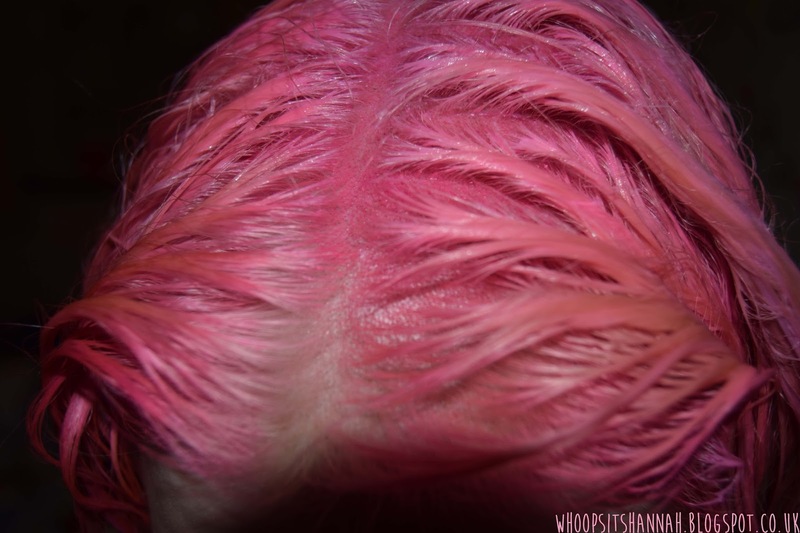 I decided to start of with pink, and I wanted to share the process with you in case any of you were thinking about dying your hair. 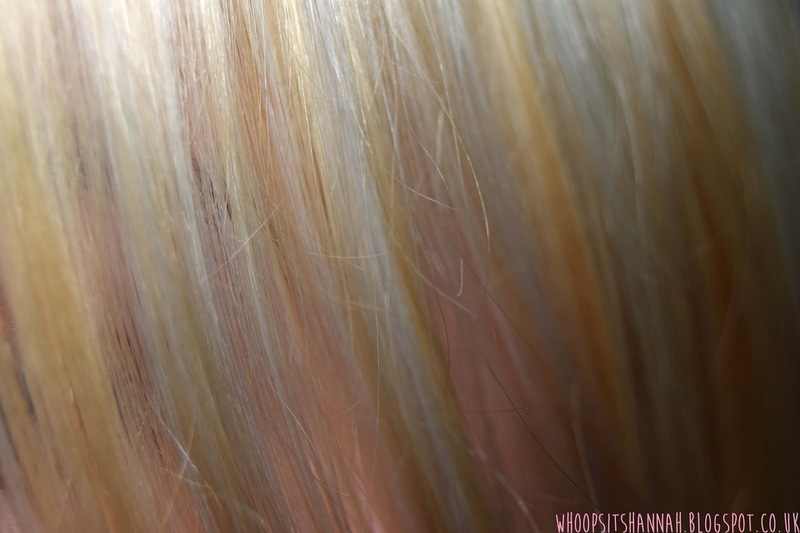 With pastel colours, it's important to get your hair as light as you can before you start for the best colour payoff. I've never bleached my hair before, and I know that it can be very damaging, so I decided to go to my hairdresser for this. I needed a haircut anyway. I was there for three hours, waiting for the bleach to turn my already dyed hair even lighter, and as you can see, it really worked. 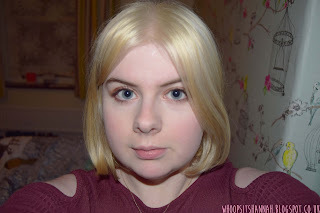 My hair was a combination of pale yellow with white highlights by the end. I checked with my hairdresser how long I should leave it before putting the dye on, and she told me just to do it the same day, so I did. 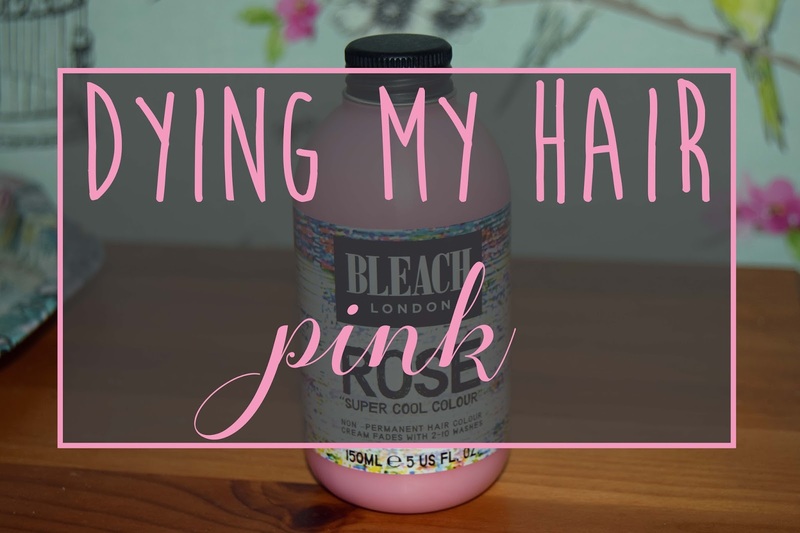 I put about half a bottle of Bleach London Super Cool Colours in 'Rose' onto dampened hair and waited about 40-50 minutes to wash it off. The instructions actually say to leave it for 15 but I've read online that this leaves a very pale result. As you can see, the colour was very bright as the dye was working, and I thought I'd done a good job of getting all my hair covered. This was my result. I'm not entirely happy, because it's very patchy and the colour is really pale, even though I left it on three times longer than suggested! For a first attempt at dying my hair, though, I think it's pretty good. The colour is nice, but I would have liked it a bit stronger. I have a brighter pink that I might try at a later date. My hair also feels really healthy, which you wouldn't expect considering it was bleached and dyed on the same day. This dye supposedly washes out fairly quickly, so I'll try again when it does and hopefully get a better result. 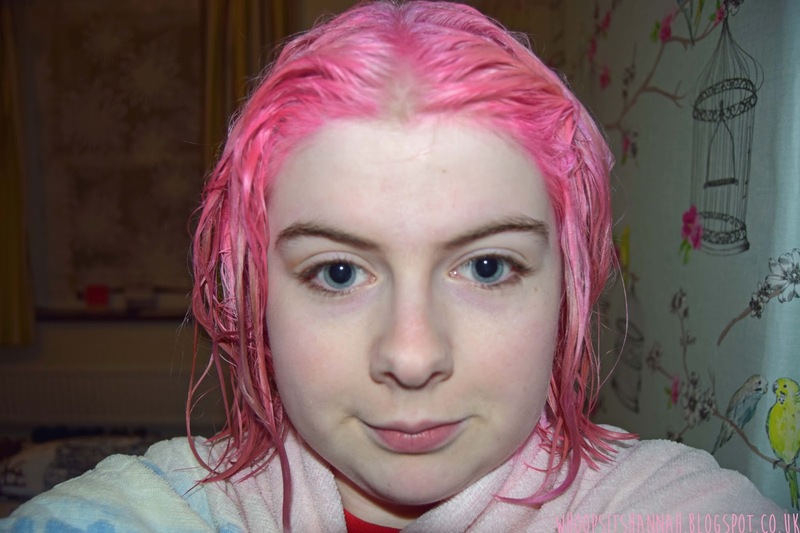 Would/have you dyed your hair pink? 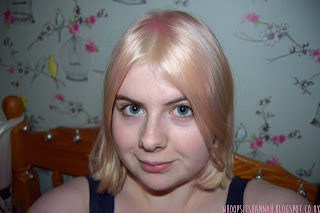 What do you think of pastel hair? Wow!! 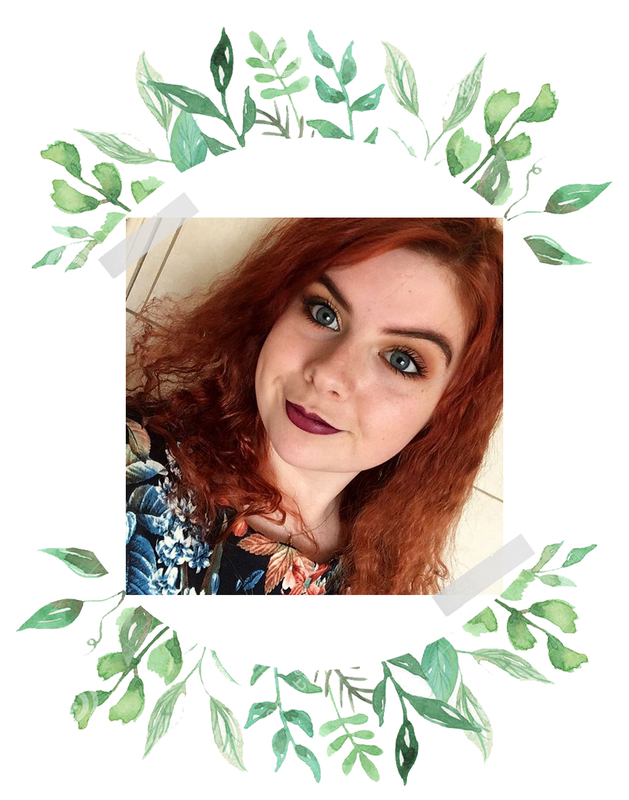 Thank you so much for sharing your own experience with hair colouring! 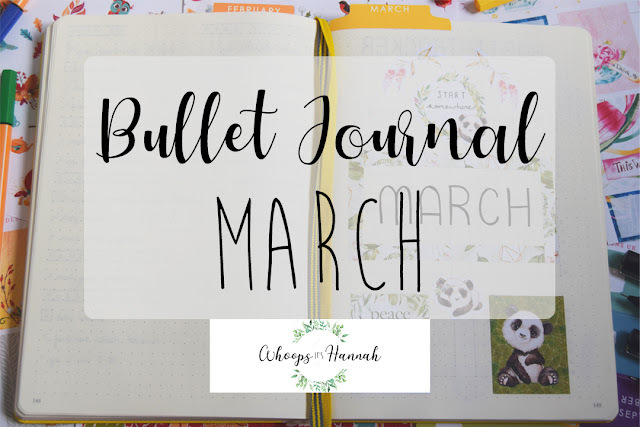 Your first hand experience makes this blog post unique from so many other blog posts I have read till date!